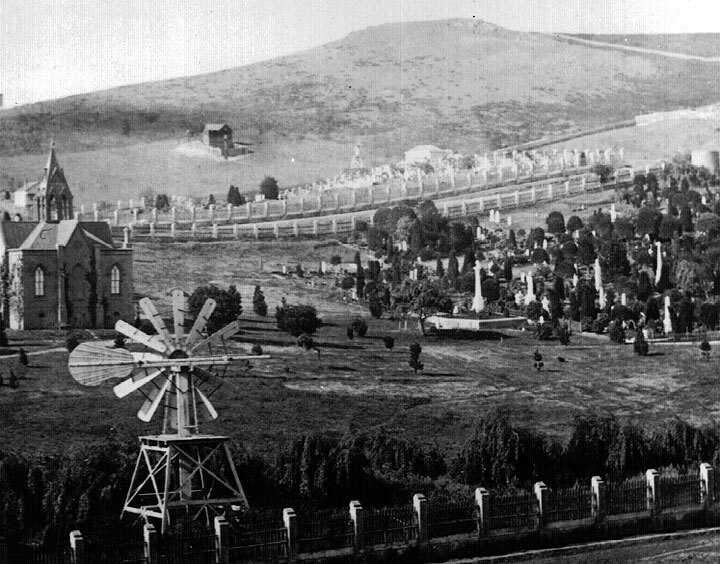 Mission Park as a Jewish Cemetery in 1876. Opened in 1861, closed in 1895. 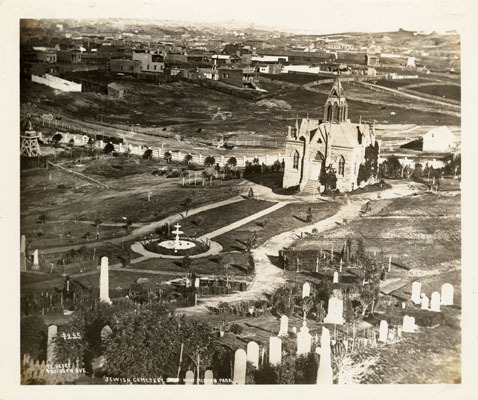 The old Jewish Cemetery c. 1880, reverse view of the 1880 view below of Mission Park and cemetery. 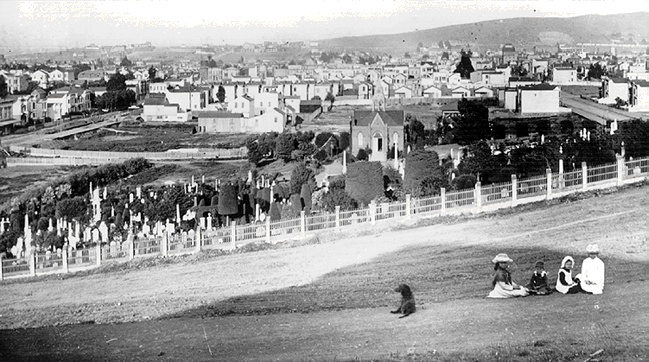 A view of Mission Park (later Dolores Park) as a Jewish cemetery, about 1880. Potrero Hill is in background right, 18th & Dolores at middle left side. View northeast from apx. 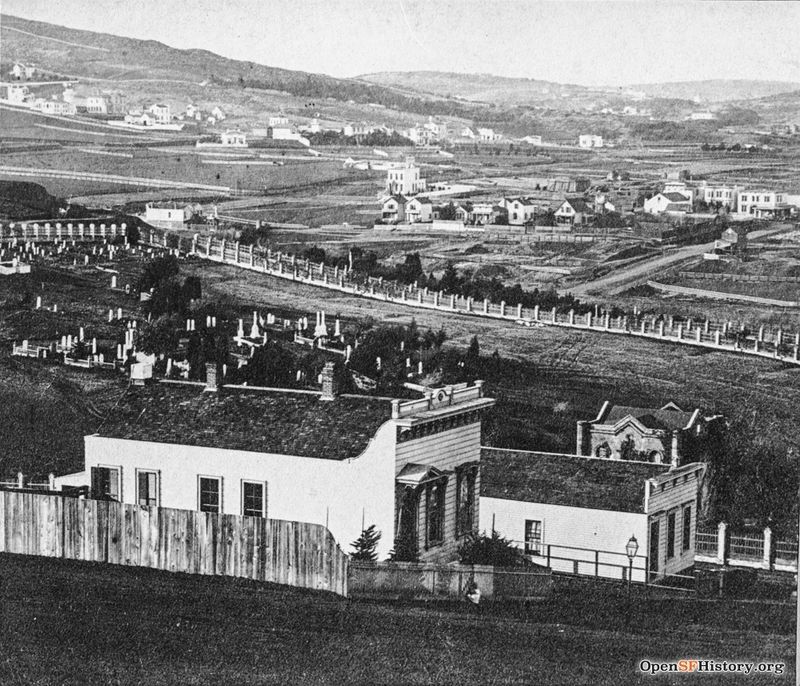 20th and Dolores, c. 1870s.